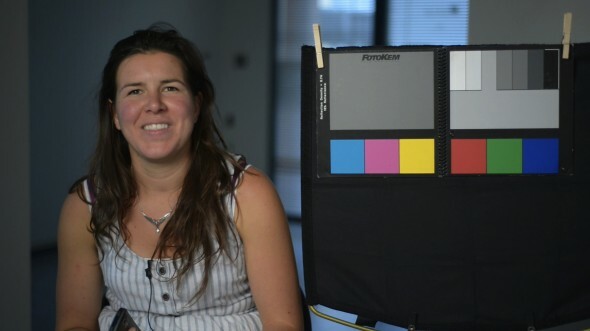 Here are some screen grabs of tests that I did with my new Nikon D800. I wanted to see how the internal H.264 codec compared to recording to ProRes 422 and ProRes LT utilizing the clean HDMI out. This camera is the first HDSLR to provide clean full HD video through the HDMI (except for the Panasonic GH2 which requires a post process to get usable video). My conclusion is that the internal codec holds up quite well. Not much more aliasing and banding than ProRes. The only drawback is that the blacks are crushed. I could see very little difference between ProRes LT and ProRes 422. I would have never considered using LT in the past but maybe it’s a good option for less critical work. I unfortunately did not have the capability to test ProRes HQ, too processor-heavy for my MacBook Pro. BTW, I recorded ProRes using a Matrox MXO Mini hooked up to my MBP using Matrox’s recording software, Ventura. 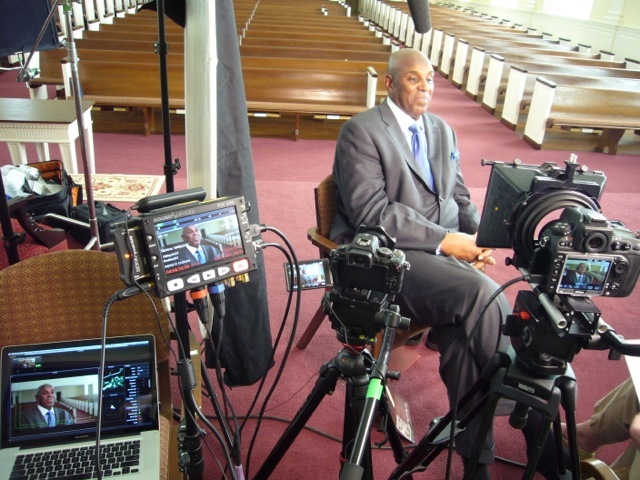 I was in Atlanta last week shooting for the Untitled John Lewis Documentary. This was my first shoot with my recently acquired Nikon D800. The shoot went exceptionally well. Kathleen Dowdey, the director, was ecstatic about the quality of video with the Nikon when paired with a Pix 240. We recorded directly to ProRes 422 on the Pix. 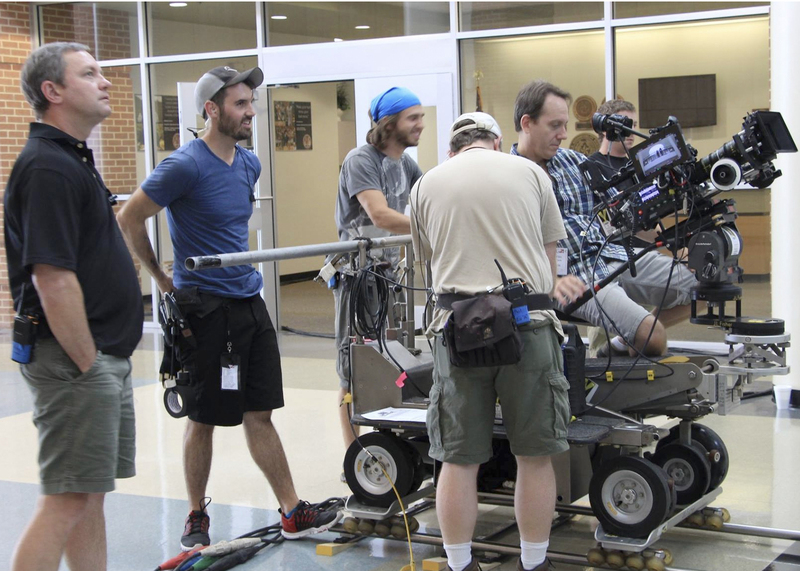 Here are two behind-the-scenes pictures showing the set-up. You can also see my MacBook Pro acting as a monitor and waveform/vectorscope using Scope Box. You can also see my hacked GH1 as a “B” camera shooting a wider frame using a Schneider 10mm lens that I adapted to work with the Micro 4/3 format. A thank you to Jimmy Hammond for renting me his Pix 240. 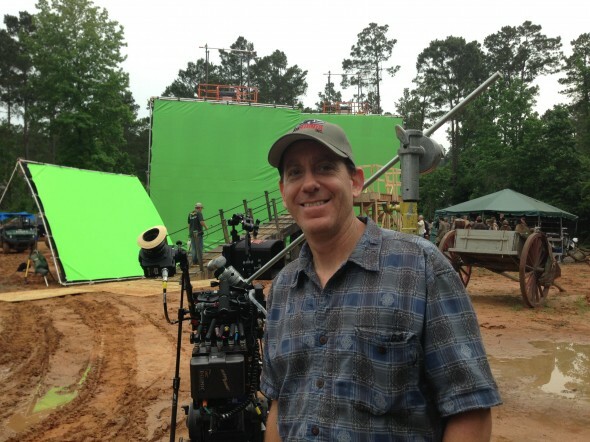 Recently finished season 1 of Salem for WGN America. Here I am shooting 2nd Unit for episode 11. 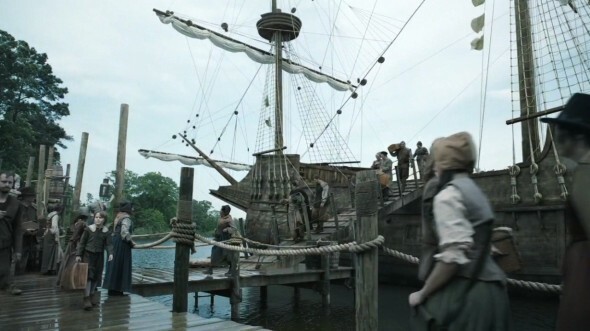 I am setting up a green screen shot of passengers disembarking a 17th century galleon. Here’s a set up from the recently completed Bad Kids Go 2 Hell, shot in Dallas, TX. Based on the popular graphic novel series about a group of kids in high school detention fighting to save their lives against an unknown assailant. I shot Alexa ArriRaw to a Convergent Design Gemini. This was a hi speed shot (60fps) at the school location. 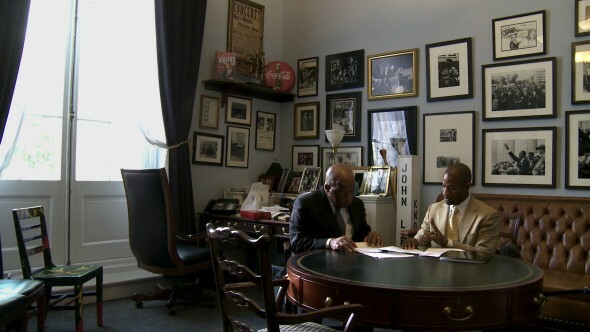 Director Kathleen Dowdey had been following Congressman Lewis since the 1980s. She wanted to tell the story of his fearless stand against violence as leader of the Student Nonviolent Coordinating Committee, on through the Freedom Rides and the Selma-to-Montgomery March and into the halls of Congress, where he still fights for justice and nonviolence. “Kathleen taped Lewis early in his political career, shooting off and on for over twenty years, with the technology available at the time,” Schner explains. 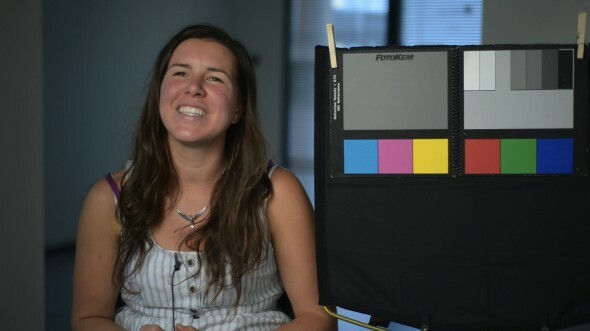 In 2012, Dowdey approached Schner, seeking a more cinematic look with her interviews and Lewis’ hectic life in Congress. “Since her earlier footage was shot on Betacam, standard-def DV and then HDV, we determined there wasn’t a specific look that we needed to maintain,” Schner adds. The diverse video formats supported the different phases of Lewis’ story. “Now, as the ‘Yoda’ of Congress, the moral compass, if you will, we went for a clear, new look – using the nimble Sony EX3. 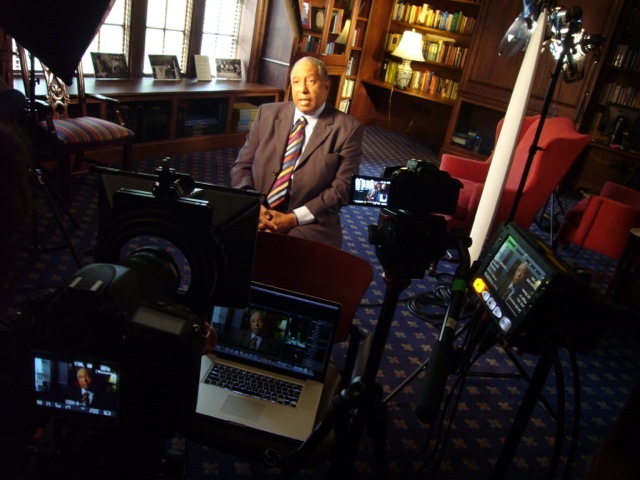 Schner and Dowdey also journeyed to Atlanta’s Emory University and a church nearby where they shot Lewis’ final interview for the film, and talked to more than a dozen other Civil Rights leaders. “Kathleen wanted these interviews to look dramatic, so I chose to light in a warm chiaroscuro style and shoot shallow focus with a Nikon D800, the only DSLR at the time that could send clean HD video to a recorder,” Schner says.